Construction Industry Council (CIC) launched its first Sustainable Construction Award in 2018. The sustainability best practices with the adoption of innovative construction technologies will be showcased by the Award winners. 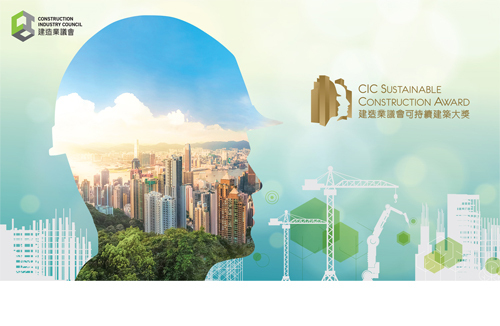 A guided tour will be provided in the CIC Construction Innovation and Technology Application Center, which is CIC’s latest effort to introduce innovations and the latest technologies for adoption by the Hong Kong construction industry.